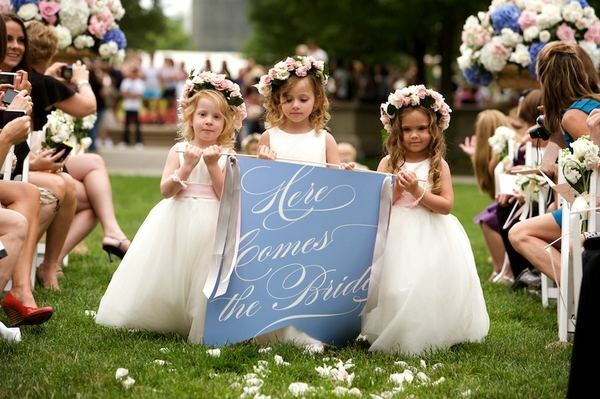 I am loving this adorable trend that is growing more popular by the minute at weddings everywhere; brides & grooms tossing up the idea of the more traditional scattering of flower petals and using pretty announcement signs for their flower girls & ring bearers instead. 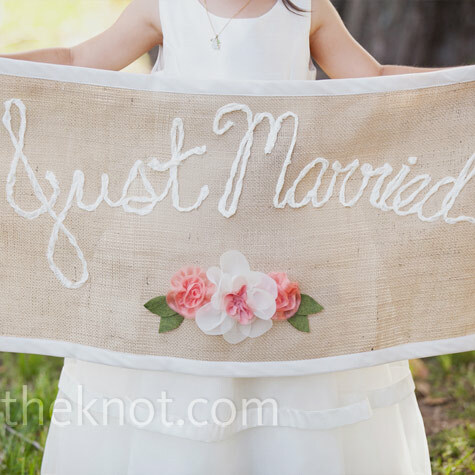 Less messy, super sweet, and an open doorway to endless creativity, these signs make absolutely terrific props for your wedding photos also ~ so basically, you can have your cake and eat it too! 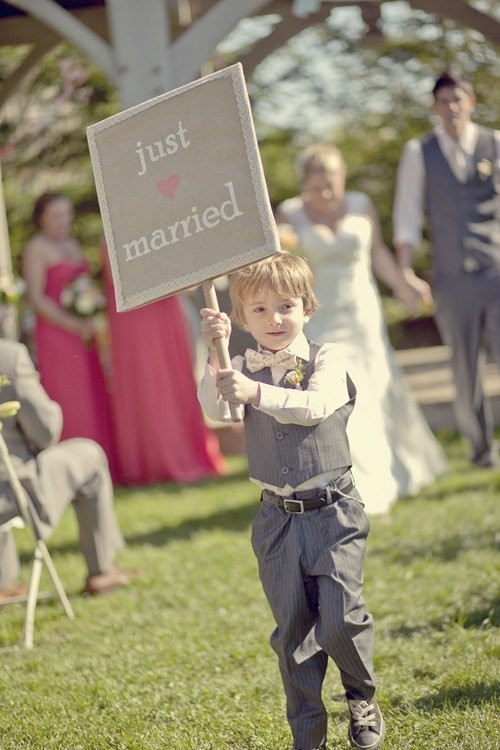 And for the trip back down the aisle . . . 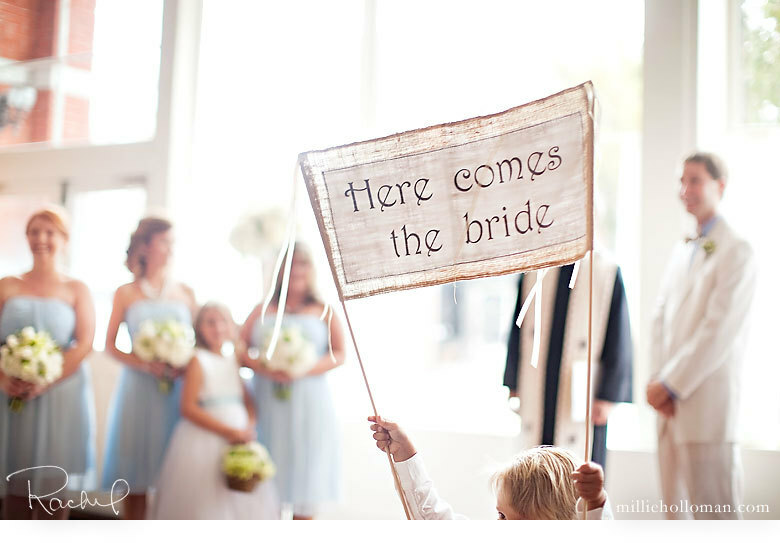 These signs are the perfect way to announce the newlyweds as they make their first stroll as husband & wife, don't you think? You can either have a trusty adult all prepped for the sign exchange sitting in the front row, or make the banner double-sided, if your littlest wedding party members are old enough to understand. 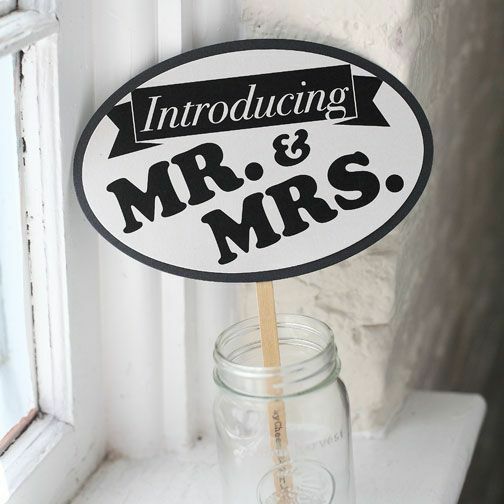 I just adore the thought of an 'Introducing, Mr. & Mrs' sign too! 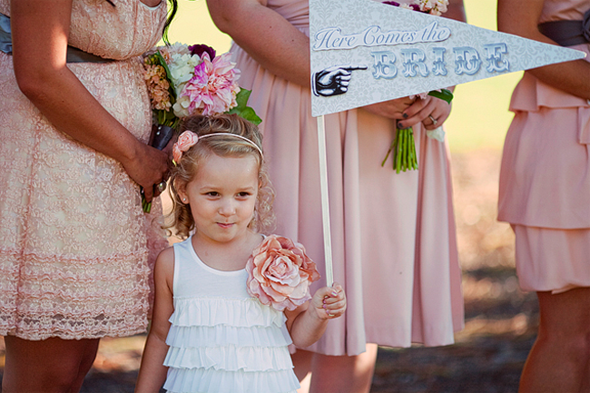 Need a custom one to match your wedding? Well, just send us a message to the Juneberry Etsy shop and we will be sure to whip you up a printable PDF file that you can put together yourself for a fraction of the cost! Vintage Pooh Invitations & Labels . . .
FROSTED: Food Artistry At Its Sweetest! Juneberry Home: DIY Lamp Shade Fun! FROSTED: It's Not Fair...Without the Sweets!! 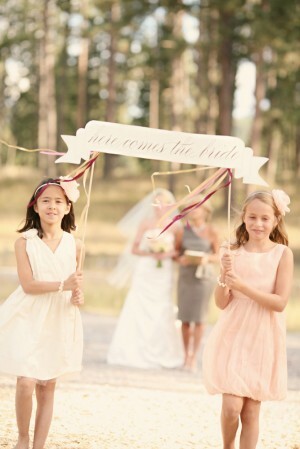 Fancy Frill Balloons (Geranimo Style!) . 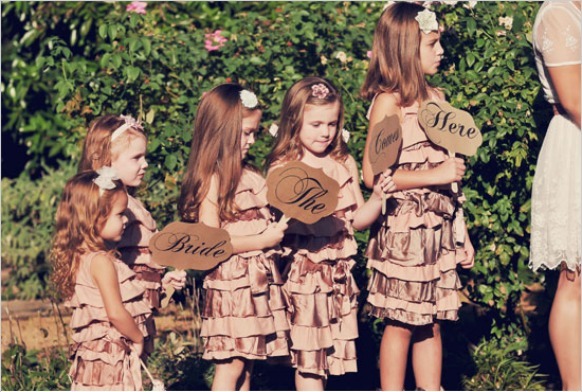 . .
A Vintage Lavender Baptism Picnic . . .